The Amazon Fire TV Stick 4K sports a minimalist design and is a tremendous value. The Amazon ecosystem is great, but the device does not have Vudu, YouTube TV, or the Google Play Store. This is somewhat disappointing because this device is the least expensive device that contains Dolby Vision. The performance on the 4K version is much better than previous versions or the non-4K model. The upgraded remote is great and integrates well with Amazon Alexa voice control technology, although it's not supported in every app. 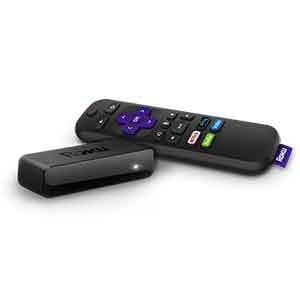 The streaming stick is a great device for anyone looking for an inexpensive, yet snappy 4K streamer. The Amazon Fire TV Stick 4K (3rd Generation) is a streaming device that was released in October 2018 (R). 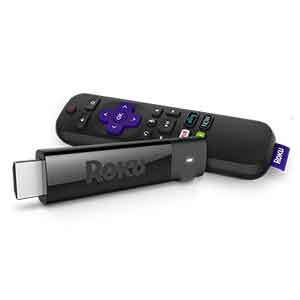 This streaming device is a stick that plugs into the back of your television using the HDMI port. This device is one of Amazon’s top streaming products delivering sharp 4K, Dolby Vision, and HDR10 resolutions. Amazon has been producing its own streaming media players since 2014. Released in 2018, the Amazon Fire TV 4K Stick is the third generation of streaming media devices that it is built around Amazon’s FireOS, which is a modified Amazon version of Android. This means it is built around the Amazon ecosystem of content such as Amazon Prime media, Amazon Instant Video, and Amazon Prime Music. The Fire TV Stick 4K is the least expensive streaming device on the market that offers Dolby Vision. The only other device is the Apple TV 4K which is approximately 3 times more expensive. Combined with the best-in-class voice search this is easily one of the top 4K devices currently available. The Amazon Fire TV Stick is a small rectangular shaped device that is slightly larger than your typical USB thumb drive, except it has an HDMI plug on one end. In terms of hardware, the only difference between the regular Fire TV Stick and the 4K version is a faster processor. This device packs a lot of punch in a small package. The device is designed to plug directly into your TV’s HDMI port but it may be a little wider than a normal HDMI connection. Included is a male-to-female HDMI cable if this is the case for your TV. On the other end is a micro USB port for powering the device. The device can be powered using the wall charger or by directly plugging in your TV’s USB port. Please note that plugging into the USB port will likely cause a dramatic reduction in the quality and power of the device as is typical with just about every other streaming device on the market. The 4K Fire TV Stick is powered by an impressive quad-core 1.7 GHz ARM Cortex-A7 CPU, which is an upgrade from 1.3 GHz CPU on the non-4K stick. The device also boasts 1.5 GB of DDR4 memory providing enough power to stream high-quality 4K TV. The Wi-Fi hardware also helps separate from the competition with dual-band, dual-antenna Wi-Fi supports 2×2 MIMO 802.11a/b/g/n/ac. 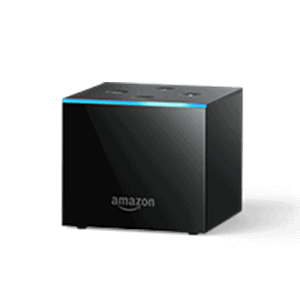 Another interesting feature is Amazon included MPEG-2 video support so cord-cutters can connect an HDHomeRun Connect TV tuner and watch over-the-air channels from an antenna to any television in the house. 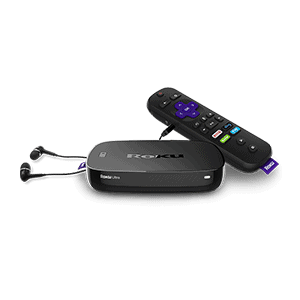 No Roku supports MPEG-2 playback at all. Like most devices performance can be affected by the proximity to your internet router but thanks to the upgraded dual-band Wi-Fi, the device experiences minimal lag as long as you’re within a reasonable distance from your router. Amazon also offers an Ethernet port adapter to make lag almost disappear entirely. Loading 4K and HDR content are very snappy. The one area of performance that the Amazon Fire TV 4K Stick outshines its competition is the voice control. Voice recognition is superb and may just be the best out of any other competitor. Powered by Amazon’s Alexa, the device can understand a plethora of commands and voice types. If you already have Amazon Alexa products this device will integrate seamlessly. Getting set up with the Amazon Fire TV Stick 4K is very easy and should take less than 5 minutes. Simply plug in the device, connect the HDMI cable to your TV, and you will see the loading screen. The device may take a few minutes to calibrate the very first time you use it. The ecosystem of the Amazon Fire TV Stick 4K is robust but primarily designed around Amazon applications; however, it is much easier with the newer version to navigate and find other content. 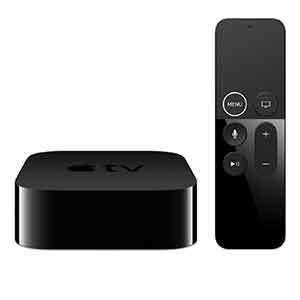 With this device, you get access to 4K, Dolby Vision, and HDR10 content in addition to thousands of titles in regular HD. Notably missing are Google Play Movies & TV, Google Play Music, YouTube TV, and Vudu. Vudu is where the majority of Dolby Vision content currently resides.